Social network group admin charged with pushing teens to suicide found sane | Russian Legal Information Agency (RAPSI). ST. PETERSBURG, February 1 (RAPSI) – A psychiatric examination of Philipp Budeykin, aka Philipp Fox, an administrator of a closed group on social network Vkontakte who stands charged with inciting teenagers to commit suicide, has found him mentally fit, RAPSI learnt in the St. Petersburg Main Investigations Directorate of Russia's Investigative Committee on Wednesday. Investigators claim that from December 2013 to May 2016 eight Groups of Death were registered on Vkontakte network. Fifteen teenagers from various regions of Russia were members of these groups and committed suicide. Searches were conducted in ten regions of Russia. About ten people testified in the case against Budeykin who was arrested on November 15. He remains in detention since his arrest. 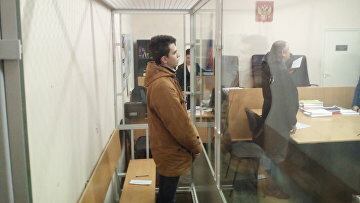 On January 10, the Oktyabrsky District Court in St. Petersburg extended his detention until May 15. 15:23 01/02/2017 A psychiatric examination of Philipp Budeykin, aka Philipp Fox, an administrator of a closed group on social network Vkontakte who stands charged with inciting teenagers to commit suicide, has found him mentally fit.